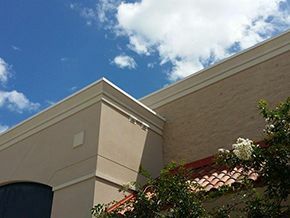 With more than 20 years of retail maintenance management experience, our staff is keenly aware of the unique characteristics and operating issues associated with servicing retail and chain stores. Customer satisfaction is our paramount goal. We meet and exceed this by providing the highest quality service, coupled with continual communication to each of our customers. We provide a wide variety of your cleaning needs, both interior and exterior! 365 days a year with 24 hour emergency services, as well as scheduled maintenance programs to keep your sites looking their best. Identifying, remediating, and repairing, while keeping all parties safe! Eco-friendy, humane approach to keeping your facilities and customers safe! 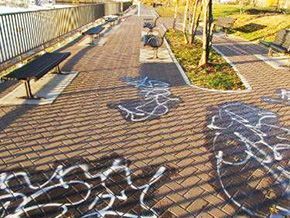 Our outdoor commercial cleaning services include awning cleaning and maintenance, bird abatement and prevention, painting, powerwashing, roof / gutter cleaning, sign cleaning, storm drain cleaning, and more. 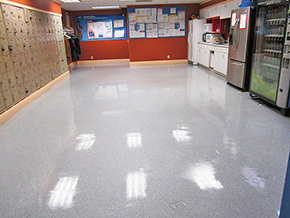 Our inside commercial cleaning services include commercial flooring installation and maintenance, concrete floor polishing, construction clean-up, disaster recovery, high dusting, and more. Whatever your brand image, we will tailor a program to fit your needs, striving to provide the most cost effective service in the industry, within the guidelines and budgetary constraints you provide. A customer's experience begins before coming through your doors, and an inviting environment can determine if a customer visits you at all. Your exteriors are a direct reflection of your business, and they should strengthen your image in your customer’s mind. Getting them in the door is only the beginning; the interior is just as vital. A clean, well lit, and comfortable interior impacts how customers feel about your business, and there is nothing more essential than a customer’s feelings when it comes to building brand loyalty and increasing revenues. Brighter Image, Inc. understands the significance of your image. We offer customized facility maintenance solutions, making it our sole focal point to satisfy your image and service needs. Our interior and exterior services, including 365 days a year, 24-hour emergency services, as well as scheduled maintenance programs, will keep your sites looking their best, inside and out. Whatever your brand image, we will tailor a program to fit your needs, striving to provide the most cost effective service in the industry within the guidelines and budgetary constraints you provide. With more than 20 years of retail maintenance management experience, our staff is keenly aware of the unique characteristics and operating issues associated with servicing retail and chain stores. Customer satisfaction is our paramount goal.